Project managers are frequently asked to do more with less; in less time and with fewer resources. We’ve explored this issue and have come up with a solution. 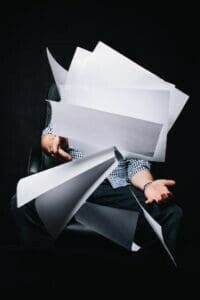 Through a series of eight blog posts, we present to you the “Eight Powerful Project Management Processes.” By following these eight essential processes, you will be able to get more done with less time and fewer resources. 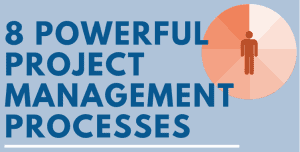 In this blog post, we present an infographic for an overview of all the eight powerful project management processes. 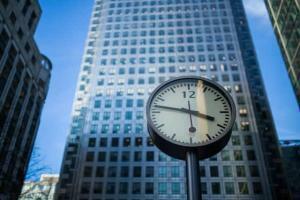 Managing the schedule is a critical function of project managers. Most stakeholders want to know when they can expect value to be delivered from a project. 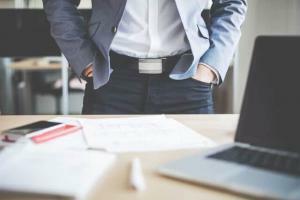 If project managers do not have tight control of the schedule management process, they cannot relay this valuable information and are at greater risk of schedule slippage, delays, and project failure. 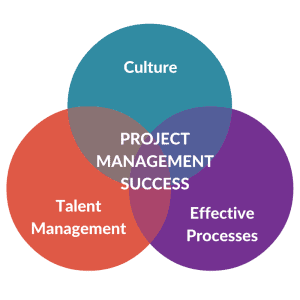 Project management offices (PMOs) can provide numerous benefits to any organization. They support project managers and provide consistency to their practices through templates and guidance, helping establish stronger governance. PMOs also provide greater visibility to project management across the organization, help align projects to strategic goals, and allocate project management resources to achieve efficient value delivery. If a PMO’s leadership cannot realize these benefits and demonstrate the PMO’s value, the PMO will struggle and may be disbanded. Imagine your agile team is lost in the woods and looking for the way out. It’s important to know that one team member caught fish for everyone, while another pitched tents, and two others explored the surroundings. However, if the team still doesn’t know the way out of the woods, then they are still lost. If this situation sounds like your daily Scrum, you may benefit from some methods to help focus this critical ceremony. Your people are the core of your business. If they are stretched to their limits, your organization may face multiple issues, including lower morale, project delays, cost overruns, and high turnover. Recognizing the following five signs of staff overload can help you ease the burden on your staff. You could also try mentoring software to help you with your HR responsibilities. Easing their burden not only empowers them to deliver projects successfully but also to use their creativity to develop better solutions that meet or exceed stakeholders’ expectations. The Certified Associate in Project Management (CAPM)® exam is changing to account for updates to A Guide to the Project Management Body of Knowledge (PMBOK® Guide) Sixth Edition. All exams will be for the Sixth Edition as of May 21, 2018. From March 12-30 and March 31-May 20, candidates can take the Sixth Edition version of the English language exam and save money on their exam fees. Learn more at PMI. The Certified Associate in Project Management (CAPM)® certification is for project managers who want to show their credibility or start taking on more project management roles. Anyone who has a secondary degree and at least 1,500 hours of project team experience, or at least 23 hours of project management education, is eligible. These requirements are less strenuous than the Project Management Professional (PMP)® which requires both experience and education hours. The CAPM certification exam also has fewer questions than the PMP exam, takes less time, and draws solely from A Guide to the Project Management Body of Knowledge (PMBOK® Guide). In contrast, the PMP exam covers both the PMBOK® Guide and situational questions where project managers must draw from their experience to determine the best answer. 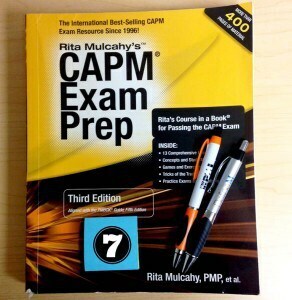 While the CAPM exam is not as involved as the PMP exam, it is not an easy exam. Candidates need to develop a strong study plan and study routine. In addition, they need to develop strategies to manage their confidence on the day of their exam. In our experience, candidates who cannot devote regular time to study or manage their time and confidence during the exam are more likely to fail. These tips help you prepare for and take the exam with confidence. As the workplace becomes more global, managing virtual teams is more of a norm than an exception. Virtual teams present unique team communication challenges. We have put together the top five common communication challenges with virtual teams and included tips to help you overcome them. We have seen many times that successful project delivery comes less from having all the bells and whistles and more from effectively executing key processes. In previous posts, we have presented a series of eight project management processes that greatly increase the chance of project success on small- to medium-sized projects when executed properly. We have also presented ways to achieve similar results for smaller or larger projects, with a lesser or greater degree of complexity, number of full-time team members, and duration. These results are possible through using a tiered approach to project management rigor. 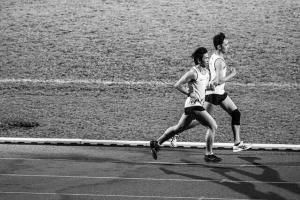 What is an ideal sprint length? Agile teams often face a challenge in determining how long their iterations, or sprints, should be. 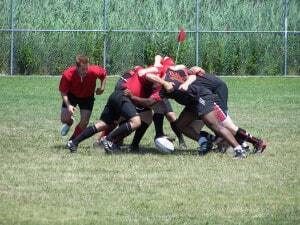 If sprints are too short, teams can get bogged down with prep work and overhead. In contrast, maturing teams may struggle to deliver working software in the demanding timeframe. However, longer sprints may also lead to wasted time for questionable added value. On a project, risk management means identifying, planning for, and monitoring for risks that threaten to derail the project’s schedule, budget, or scope. In agile, the risks threatening the scope take on greater dimension, since the scope is flexible. Risks on agile projects hinder the ability to deliver value to the customer by keeping the team from being able to accomplish key tasks. In this blog post, we will look at the risk-adjusted backlog and how to apply it at each level of the agile project. PMI, PMP, CAPM, PMI-ACP, PMI-RMP, and PMBOK are all registered marks of the Project Management Institute, Inc.